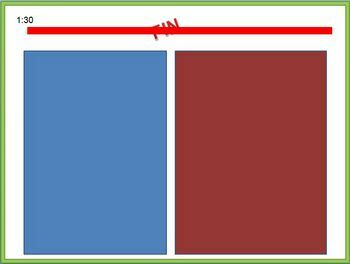 You'll be surprised by how quickly and confidently your students are writing when you use this activity with them. 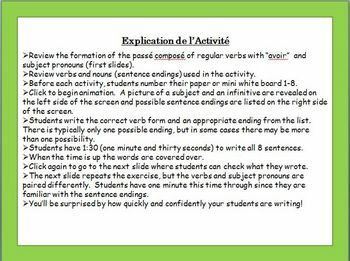 This is a great way to build confidence in writing, while reviewing and practicing verb forms and meaning. 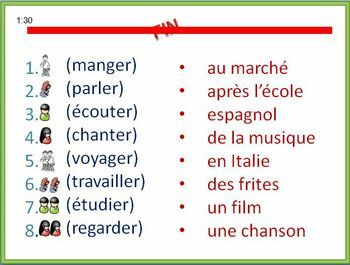 Before engaging in the activities, there are slides to review subject pronouns and verb forms. 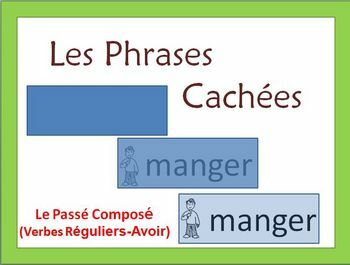 This activity has regular verbs (er, ir, re) in the passe compose in French.